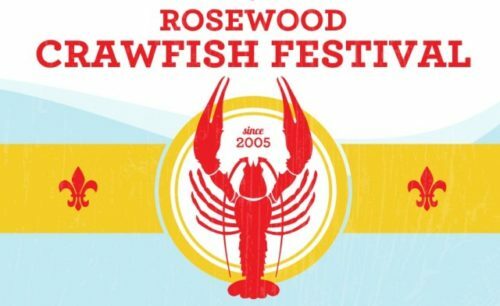 Having celebrated its 10th anniversary last year, the Rosewood Crawfish Festival moves into its second decade in 2016 as it once again brings over 10,000 pounds of Louisiana crawfish to Columbia. And this year it also brings that Louisiana sound to Columbia with New Orleans based headliners Cowboy Mouth and Dirty Dozen Brass Band. Featuring Fred LeBlanc on lead vocals and drums, John Thomas Griffith on guitar, Matt Jones on rhythm guitar, and Brian Broussard on Bass, Cowboy Mouth is known for delivering powerful live performances that feature the feature music and lyrics inspired by the Crescent City. Complementing the rock and roll stylings of Cowboy Mouth are the legendary horns (and other sounds) of the Dirty Dozen Brass Band, which is now in its 40th year of existence, having been established in New Orleans in 1977. Led by Gregory Davis on trumpet and vocals and featuring an all-star roster that has changed throughout the years, always with the ability to float between genres from Jazz to Funk to New Orleans R&B, Dirty Dozen has also been called a “Jam Band” at times for taking the stage with and for recording with the likes of Widespread Panic and Modest Mouse. The festival features 3 stages along Rosewood Drive from Harden to Maple streets, and the musical groups will take their turns from around 12 noon until 7:30ish (I say “ish” because who knows how long the Dirty Dozen Brass Band might decide to keep on!?). 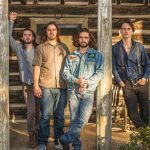 A full listing of this year’s bands is available at the festival website: rosewoodcrawfishfest.com, where one can also read about food offerings and other activities associated with event. In addition to the more than 5 tons of crawfish, vendors will also offer other Creole fare, including fried alligator, po’ boys, ettoufee, gumbo, and jambalaya. And for the “land lovers” among us, Polish sausages, turkey legs, and Philly cheese steaks top the list of the usual subjects for festival fare. And that’s not all! Music, food, and drink will be on offer in generous quantities, but the Crawfish Festival also offers other activities throughout the day. Want to earn your beer and shrimp po’ boy? Sign up for the Crawdaddy Dash 5K – with a 9am kick off, you can practically sleep in and still get to the starting line on time. Got kids? Bring them along, and check out the Li’l Crawdaddy Carnival that will offer face painting, bounce houses, and more. And the Artists’ Village will be back again with items on offer from more than 25 local artisans, so you can even get that last minute Mother’s Day shopping done! As we all know, the Soda City is famously hot, and every weekend brings a new line up of activities and events to choose from. The 2015 Crawfish Festival brought over 12,000 people to the Rosewood neighborhood, and Britt estimates that the economic impact of the festival is easily upwards of $1-2 million, while also spotlighting one of Columbia’s most up and coming residential and commercial neighborhoods. So come on down to the Crawfish Festival this year and eat, drink, and be merry!